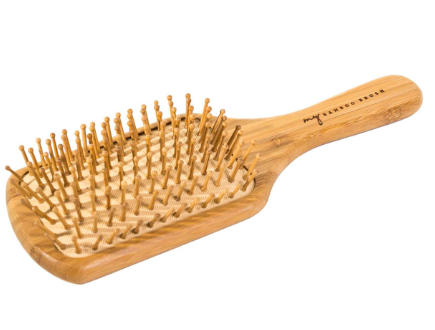 How many of you have an old hairbrush hanging around at the bottom of your handbag? Yeh, us too - essential for a post-gym tidy up or a necessary staple to give you that pre-meeting sass. Our favourite is of course a natural brush that doesn’t harm the environment in its making and is also completely biodegradable at the end of its life. This one comes from one of our favourite sustainable online shops: Wearth, and is from a brand called Nature & My.